You know that certain behaviors keep you feeling good and that certain activities and habits lead you to places you'd rather avoid. But you're only human(!) and when life gets busy or stressful, when symptoms flare up or even when you just start feeling really great for a while it's all too easy to forget those habits and behaviors that maintain wellness. You already know what works - the trick is making sure you incorporate these positive habits into your daily life - that's what's hard, and that's where wellness sheets can make a big difference. These activity plans were developed by other people with psychiatric or emotional symptoms and they are proven to help you maintain better mental health. They don't cost you anything but a few minutes of your time and they put you in control of the maintenance of your own well-being. Wellness sheets remind you, on a daily basis, of what you must do every day and what you might want/need to do some days, to maintain wellness and to prevent the onset of unwanted emotional or psychiatric symptoms. 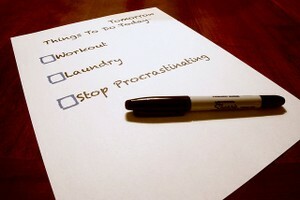 Make a list of activities that might need doing on a daily basis to maintain good mental health. As part of a daily practice of incorporating wellness activities into your daily lifestyle you need to get into a habit of monitoring your emotional states so you know when you need to pay extra attention to making some time for yourself. You can help yourself in this practice by writing out a list of words that describe how you act/feel when you're at you're best and by comparing your mood and behaviors daily against your optimal self. Make it individualized and true - there aren't any right or wrong answers here, and then compare how you're feeling each day against how you feel when you're at your best. When there's great divergence, you know you need to take some extra time to focus on wellness activities. The experts say that when you find yourself feeling worse you can often trace the start of a downward spiral back to not taking adequate care of your emotional or physical health - to forgetting to do something that must be done to maintain good health on a daily basis. Some wellness promoting activities are done only occasionally, like visiting your doctor or therapist, and others, like doing laundry, need doing regularly, but not daily. Getting behind on chores and obligations leads to increased stress and aggravation and forgetting important occasional activities can reduce quality of life. For your daily reminder sheet make a list of chores, activities and obligations that you need to keep on top of to maintain wellness. Today, Do I Need To? Make or attend a doctor or dentist’s appointment? Do laundry or clean my living space? Complete a work or school task? Go to a support group meeting? Spend time with a loved one? Buy food for the house? Go to an exercise or yoga class? Remember to consult your daily wellness activities and reminders lists every day and remember also to edit your lists whenever appropriate, adding activities that help and erasing activities that no longer provide you with much of a boost.